"This expansion positions Alcoa to capture increasing demand for our innovative aluminum truck wheels in Europe, including our easiest-to-clean wheels that look new longer, reduce maintenance costs, and increase payload and fuel efficiency"
NEW YORK & SZÉKESFEHÉRVÁR, Hungary--(BUSINESS WIRE)--Lightweight, high-performance metals leader Alcoa (NYSE:AA) today officially opened its expanded wheels manufacturing plant in Hungary. The larger facility doubles Alcoa’s capacity to produce its Dura-Bright® EVO surface-treated wheels compared to 2014 production levels. The expansion will enable Alcoa to meet growing European demand for its lightweight, durable, low-maintenance aluminum truck wheels. 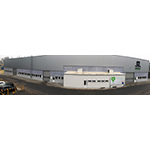 Construction of the US$13 million (HUF 2.8 Billion) expansion was completed on schedule and will create 35 new permanent jobs in Hungary once the facility reaches full capacity. Demonstrating its support for the project, the Hungarian Government agreed to contribute US$4.4 million (HUF 1 billion) through its Regional Operative Program, a government-led economic development initiative. Under the pilot program with the regional Székesfehérvár city bus operator, a number of buses will be outfitted with Alcoa’s wheels. Bus operators in other municipalities have realized up to five percent fuel savings after converting from steel wheels to Alcoa’s forged aluminum wheels. Alcoa’s Dura-Bright EVO surface-treated wheel is 10 times more resistant to corrosion primarily caused by road salts and weather elements than its predecessor, the Dura-Bright wheel with XBR® technology. Unlike competitive surface coatings that can crack, peel, corrode and dull quickly, the Dura-Bright surface-treated wheel allows brilliant shine to last even after years of use, without the need for polishing. Dura-Bright is not a coating, but rather a surface treatment that penetrates the aluminum and becomes an integral part of the wheel. Regular cleaning with commonly used truck cleaning products or with just soap and water will keep the wheels shiny, even after hundreds of washes and thousands of kilometers, reducing maintenance costs. In addition, Alcoa’s wheels are made from one piece of forged aluminum, making them lighter and five times stronger than steel wheels, increasing payload and fuel efficiency. Alcoa has been the forged aluminum wheel leader since inventing the product in 1948. Alcoa Wheel Products is part of Alcoa’s value-add businesses, comprising Engineered Products and Solutions and Global Rolled Products. The company projects its revenues from wheel products to increase to US$1 billion in 2016 from US$700 million in 2013. Editor’s Note: Caption for accompanying photo: To meet growing demand for its innovative wheels, Alcoa has expanded its wheels manufacturing plant in Hungary (expansion shown here), doubling its capacity to produce lightweight, durable, low-maintenance Dura-Bright® EVO surface-treated aluminum truck wheels. A global leader in lightweight metals technology, engineering and manufacturing, Alcoa innovates multi-material solutions that advance our world. Our technologies enhance transportation, from automotive and commercial transport to air and space travel, and improve industrial and consumer electronics products. We enable smart buildings, sustainable food and beverage packaging, high-performance defense vehicles across air, land and sea, deeper oil and gas drilling and more efficient power generation. We pioneered the aluminum industry over 125 years ago, and today, our approximately 59,000 people in 30 countries deliver value-add products made of titanium, nickel and aluminum, and produce best-in-class bauxite, alumina and primary aluminum products. For more information, visit www.alcoa.com, follow @Alcoa on Twitter at www.twitter.com/Alcoa and follow us on Facebook at www.facebook.com/Alcoa. Alcoa Wheel and Transportation Products (AWTP), headquartered in Cleveland, Ohio, is part of Alcoa’s downstream business, Engineered Products and Solutions. AWTP serves the commercial vehicle, automotive and defense markets with products used in a range of applications including forged aluminum wheels, premium products such as Dura-Bright®, Dura-Flange®, LvL ONE® and M-Series™ medium duty truck wheels, as well as a variety of other aluminum components for these markets. AWTP is composed of three divisions: Commercial Vehicle Wheels, Forged Specialty Wheels and Transportation Products. Alcoa Wheel Products Europe is headquartered in Székesfehérvár, Hungary. 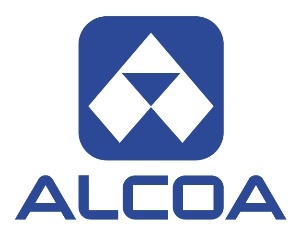 Alcoa manufactures forged aluminum wheels for trucks, trailers and buses in Europe. More information can be found at www.alcoawheels.com. Follow @AlcoaWheels on Twitter at twitter.com/AlcoaWheels. This release contains statements that relate to future events and expectations and as such constitute forward-looking statements within the meaning of the Private Securities Litigation Reform Act of 1995. Forward-looking statements include those containing such words as “anticipates,” “estimates,” “expects,” “forecasts,” “plans,” “projects,” “will,” or other words of similar meaning. 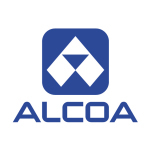 All statements that reflect Alcoa’s expectations, assumptions or projections about the future other than statements of historical fact are forward-looking statements, including, without limitation, statements regarding Alcoa’s strategy, objectives, expectations, and intentions regarding growing its revenues from its wheel products, its ability to capture growing European demand for aluminum truck wheels, and growth in global market penetration of forged aluminum wheels versus steel. Forward-looking statements are subject to risks, uncertainties, and other factors and are not guarantees of future performance. Important factors that could cause actual results to differ materially from those expressed or implied in the forward-looking statements include: (a) unfavorable changes in the markets served by Alcoa, including the commercial transportation market and European aluminum truck wheels market; (b) failure to successfully implement, or to realize expected benefits from, new technologies, processes, equipment, expanded facilities, or innovative products, including Dura-Bright EVO® surface-treated wheels, whether due to competitive developments, changes in the regulatory environment, trends and developments in customer requirements, or other factors; and (c) the other risk factors discussed in Alcoa’s Form 10-K for the year ended December 31, 2013 and other reports filed with the Securities and Exchange Commission. Alcoa disclaims any intention or obligation to update publicly any forward-looking statements, whether in response to new information, future events or otherwise, except as required by applicable law.